LET’S CHOOSE OUR NEXT BOOK TOGETHER! 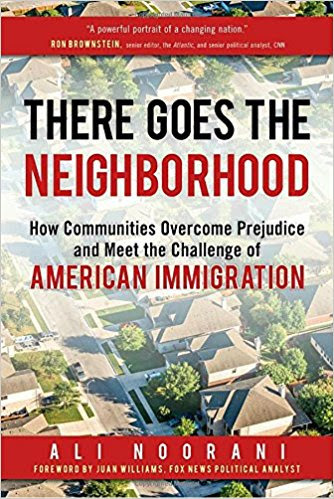 This compelling approach to the immigration debate takes the reader behind the blaring headlines and into communities grappling with the reality of new immigrants and the changing nature of American identity. Ali Noorani, the Executive Director of the National Immigration Forum, interviews nearly fifty local and national leaders from law enforcement, business, immigrant, and faith communities to illustrate the challenges and opportunities they face. From high school principals to church pastors to sheriffs, the author reveals that most people are working to advance society’s interests, not exploiting a crisis at the expense of one community. As he shows, some cities and regions have reached a happy conclusion, while others struggle to find balance. 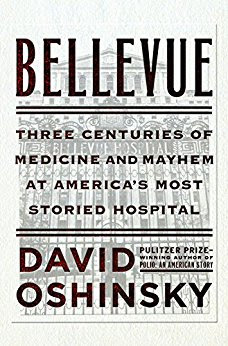 From a Pulitzer Prize-winning historian comes a riveting history of New York’s iconic public hospital that charts the turbulent rise of American medicine. David Oshinsky, whose last book, Polio: An American Story, was awarded a Pulitzer Prize, chronicles the history of America’s oldest hospital and in so doing also charts the rise of New York to the nation’s preeminent city, the path of American medicine from butchery and quackery to a professional and scientific endeavor, and the growth of a civic institution. From its origins in 1738 as an almshouse and pesthouse, Bellevue today is a revered public hospital bringing first-class care to anyone in need. With its diverse, ailing, and unprotesting patient population, the hospital was a natural laboratory for the nation’s first clinical research. It treated tens of thousands of Civil War soldiers, launched the first civilian ambulance corps and the first nursing school for women, pioneered medical photography and psychiatric treatment, and spurred New York City to establish the country’s first official Board of Health. After two decades of brilliant research on American poverty, Kathryn Edin noticed something she hadn’t seen before – households surviving on virtually no cash income. 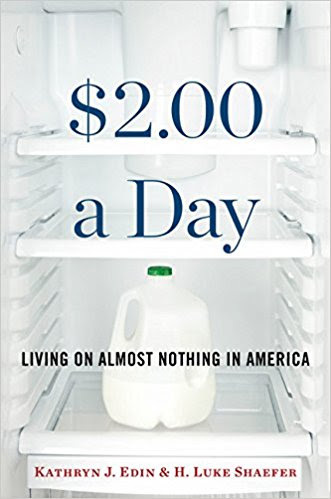 Edin teamed with Luke Shaefer, an expert on calculating incomes of the poor, to discover that the number of American families living on $2.00 per person, per day, has skyrocketed to one and a half million households, including about three million children. CLICK HERE TO MAKE YOUR PICK!